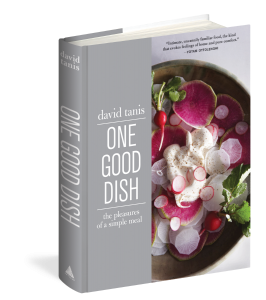 In David Tanis’s first non-menu cookbook, the New York Times food columnist offers 100 utterly delicious recipes that epitomize comfort food, Tanis-style. Individually or in combination, they make perfect little meals that are elemental and accessible, yettotally surprising—and there’s something to learn on every page. A chapter called “Strike While the Iron Is Hot” is all about searing and quick cooking in a cast-iron skillet. Another chapter highlights dishes you can eat from a bowl with a spoon. And so it goes, with one irrepressible chapter after another, one perfect food moment after another: this is a book with recipes to crave.